This stunning linear silver holographic is intense! 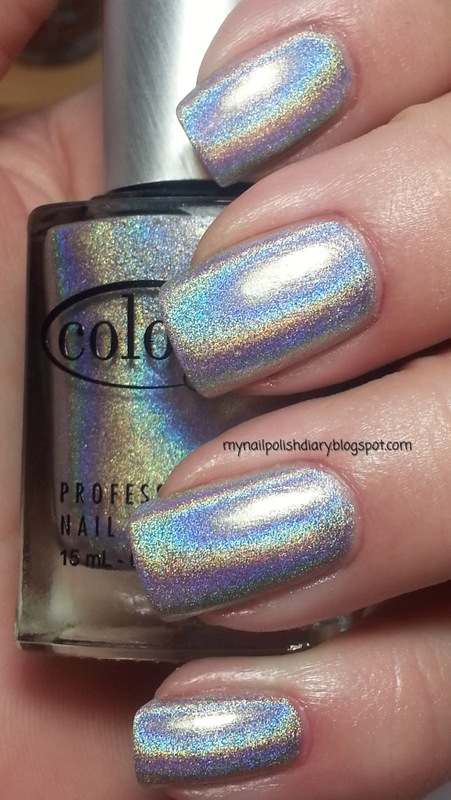 Harp on it from Color Club's Hues collection released this winter (2012), is the perfect linear holographic silver. The entire collection is gorgeous. It applied perfectly. I used Nfu Oh Aqua Base with it even though you don't need it I feel like it intensifies the holo and evens everything out. 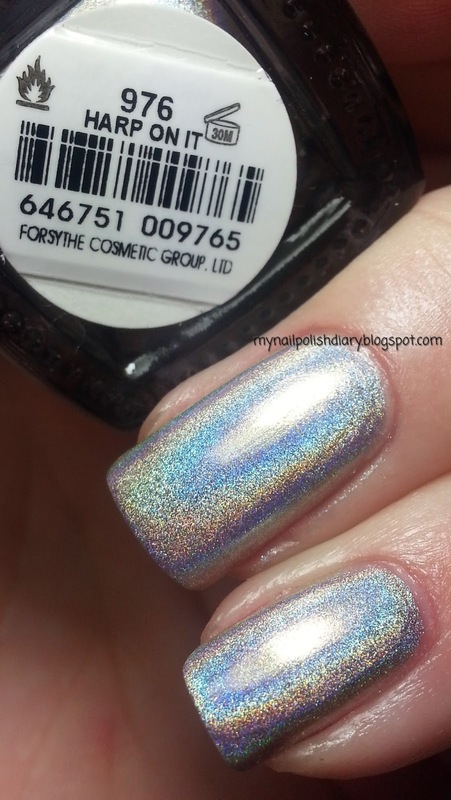 I used SH Diamond Flash QDTC with it because I think it works best with holos and doesn't dull the effect. I am so glad I got this collection. It's a must have for any holo lover. The wear on these is also amazing. Well done Color Club.